This letter by Florida state senator John L. Ducker was written to Bill Downs in 1970. In it he accuses Downs of bias and concludes by saying "Radical Liberals in the news media are the real 'polarizers' of America." The letter was in response to an ABC Evening News segment about Defense Secretary Melvin Laird's testimony on the unsuccessful mission to rescue American prisoners of war in North Vietnam. Downs responded to Ducker with a transcript of the broadcast. He also referenced the letter in an opinion piece one month later, making note of its rhetorical similarities with Vice President Spiro Agnew's attacks on the news media. The text from the letters and transcript is taken verbatim, including errors. We have all heard a great deal about "polarization of America" in the news media lately. This letter is concerned with the real "polarizers", the left wing commentators and self-styled pundits. On the 11:00 P.M. News of November 24th, the local ABC television outlet aired a segment showing Mr. Melvin Laird discussing the recent air raids on North Viet Nam and the attempt to rescue our all-but-forgotten prisoners of war. 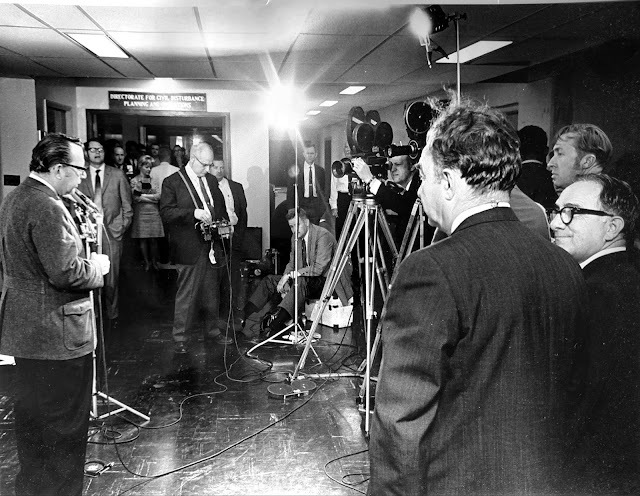 Suddenly Mr. Laird's voice was cut off, although the picture showed him as he continued to speak, and a different voice interrupted criticizing Mr. Laird for making a "political football" out of the Viet Nam war and the prisoners of war. This other voice signed off with the announcement that it was Bill Downs speaking. Now just who is Bill Downs? Who is he, to interject his puerile political partisanship on a national network? I and millions of other viewers object to Downs and others of his ilk pontificating their snivelling sentiments as the ultimate in wisdom. I personally, and millions like me, would like to answer Mr. Downs on national television because we are as intelligent as he is and know as much about what is going on as he does. We do not need a nursemaid to lead us into the "correct paths" of thinking. We can do our own. Who does the thinking for such as Downs? Who tells him what to say? He who pays the piper calls the tune. He who pays Mr. Downs tells him what to say. To shallow minds this may mean that somebody tells Mr. Downs specifically what to say. This is probably not what happens, but an employer can hire the "right" people who say the "right" things, who agree with them in their political left wing feelings and who see to it that those who air those views are the ones who are benefited and promoted over those who do not. The fact that Mr. Downs works for ABC does not give him the right to make repulsive remarks about those whom he happens to dislike and with whom he happens to disagree. We can all listen to and judge the Honorable Mr. Laird without help from Mr. Downs or anybody else. Radical Liberals, like Downs and the officers of ABC are the ones who for the past several months have been criticizing Vice President Agnew and even the President of the United States for "polarizing" America. Speeches of our elected and appointed officials can and should be answered by officials and representatives of the opposit party. This is not polarization. How can a nasty crack by a little pipsqueak like Downs be answered? It is frustrating and infuriating that many who listen and are helpless to reply. Radical Liberals in the news media are the real "polarizers" of America. Attached is a verbatim transcript made by the Pentagon of my November 24th broadcast to which you took such unwarranted and undignified exception. I have checked with the office of my good friend Secretary Laird and was informed that he agreed with my conclusion that the American POW's in Hanoi's hands should not become anyone's political football. I could find no one in the Defense Department who regarded the report as "repulsive", as you put it. John HART reports there is still much talk on Capital Hill about the recent bombing raid and rescue mission in NVN over the last weekend. HART also reports there were no reported US deaths in VN during the last 24 hours. 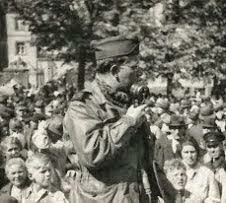 Bob SCHEFER comments on the POW camp mission - says the maneuver was partially politically oriented. He says stale intelligence is nothing new for the was in SE Asia and that part of the problem was not being able to know what was in the prison camp cells. Secretary of Defense Melvin LAIRD also said the same thing about not being able to know what was in those camps - that reconnaissance planes cannot photograph through the roofs of buildings. Robert GORALSKI reports the CALLEY trial is recessed until after the Thanksgiving holiday after hearing 21 witnesses thus far. John CHANCELLOR reports on the reaction of some POW wives - most of them interviewed thought this was a tremendously brave effort and that it was good to show Hanoi the US is concerned about their POW's. Bill DOWNS reports Secretary LAIRD had a full day on Capital Hill today testifying before the Senate. Two US lawyers who were in Hanoi during POW mission believe the US knew there were no US POW's in that camp but pulled the mission off to show Hanoi our strength. There are more reports on drugs and the returning VN veteran. FRANK REYNOLDS: This has been another long day for Secretary of Defense Melvin LAIRD. Earlier today, he went before the Senate Armed Services Committee to defend that commando raid on a prisoner of war camp near Hanoi. Even though no prisoners were rescued, he said the raid showed that the American government does care about the prisoners of war. Late this afternoon, Secretary LAIRD faced another hearing, this one before the Senate Foreign Relations Committee, which was opened to live television coverage and was broadcast here on ABC. BILL DOWNS: The Senators wanted to know whether Secretary LAIRD had ordered the dramatic mission impossible to Sontay. With faulty intelligence, which uselessly risked the lives of the men of the task force, and also possible ruined any chance of successful negotiation in Paris. Senator FULBRIGHT questioned the intelligence. FULBRIGHT: ...bad idea simply because it did fail - there was something wrong with the intelligence. FULBRIGHT: Well, it was a failure (both talking at once). LAIRD: This mission was carried on by a group of men that performed the mission with one-hundred percent excellence. FULBRIGHT: The men performed perfectly but who ever directed it didn't I mean. LAIRD: These men knew full well the chance that there might not be POW's there. LAIRD: I would like to tell your Mr. Chairman that we have made tremendous progress as far as intelligence is concerned. LAIRD: We have not been able to develop a camera that sees through the roofs of buildings - the intelligence on where troops were located in the area was excellent. The intelligence on SAM sites, the intelligence on anti-aircraft positions, every bit of intelligence proved to be correct. The only intelligence that we did not have was the pictures inside the cells. And this was something that every men - every man on this mission knew too. This is something that I personally discussed with them and discussed with our intelligence people that were working on this mission. Senator GORE, I felt the risk was worth it. And I recommended this mission and I take the responsibility, but I cannot fault the intelligence that was supplied to us - we do not have men on the ground in NVN. DOWNS: The tragic fact remains there are still more than 900 Americans, prisoners or missing in NVN. Their fate deserves better than to become a domestic, political football. After reading the transcript, which you enclosed with your December 8th letter, I do not retract a word of my letter. I think that I was absolutely right. The four major U. S. webs will be allowed two correspondents each in Japan and one each in the Philippines effective Oct. 27, according to a directive issued by Gen. Douglas MacArthur which puts a ceiling on the number of newsmen of all media who will be permitted to remain in the areas under his command. The directive also reverts all correspondents to civilian status. For MBS, Don Bell, now in Japan, will go to Manila as the web's correspondent in the Philippines. Bob Brumby, now vacationing after a tour in the Pacific, will go to Japan and will be joined by Jack Mahon who is now on his way home for a rest. William J. Dunn and Bill Downs will cover for CBS in Japan while John Adams stays on as the web's representative in the Philippines. Of NBC's crew in the area, George Thomas Folster and Guthrie Janssen are assigned to Nippon, with Joe Laitin in the Philippines. Merrill Mueller has returned from Japan and Joe R. Hainline is returning to the U. S. with units of the Pacific fleet. American's correspondent under the new system will be Frederick B. Opper and Larry Tighe in Japan, and Dave Brent in the Philippines. Norman Paige has come back from Tokyo and John Hooley, recently from Manila, will probably go to Europe after a vacation. MacArthur's order will permit one correspondent for the Australian Broadcasting Co. in Japan and one in the Philippines. BBC will be allowed two newsmen in Japan. New York — (UP) Bill Downs, Columbia Broadcasting System reporter on Okinawa, reported last night a warning from an American Air Transport Command general that war correspondents or anyone else who arrived with the air-borne occupation forces in Japan without official orders would be turned over to Japanese police at the airfield. Downs said the general made the statement while addressing 200 men of his command at an Okinawa air strip. Several war reporters will in the group. "You will take no war correspondents with you," the general told the crews. "Those are orders from General Headquarters." Then, Downs reported, "the general made a peculiar statement for an American about to occupy Japan. He said, 'Any man found on their airfield without official orders to be there will be turned over to the Japanese police for safekeeping until the main body of our troops arrive.'" This article is part of a series of posts on how newspapers, specifically The New York Times, covered the rise of fascism. In 1933, journalist Thomas Russell Ybarra interviewed Hitler for a Collier's magazine articled titled "The Hitler Jitters." The Times wrote about the interview soon after, noting Hitler's attempts to downplay persecution of Jews in Germany. "There has been no terror in Germany," declared Chancellor Hitler of Germany in an interview published yesterday by Collier's Weekly, in which he defends his attitude on the Jewish question. "You Americans, too, have an immigration problem," he continued. "You have made restrictions against immigrants of the sort you don't want in America. Why are not Americans fair enough to admit that we Germans have the same right? "We don't want Jews from Eastern Europe. It is for us Germans to decide this matter. You Americans made similar restrictions. Why don't Americans show an understanding for questions of this kind? "How can any American believe, for instance, the tales told before the Reichstag election of the terrorizing of voters by the National Socialists, in view of the fact that 90 per cent of the Germans entitled to vote actually went to the polls? Under a reign of terror people don't go to the polls. They stay at home. "Whatever violence there was is now past. Perfect calm reigns in Germany. Not a street has been destroyed, not a house. "I tell you we have Communists here in Germany who would not be allowed for a moment in America. You in America wouldn't tolerate what we in Germany have been forced to endure from these Communists. "Americans should view international problems from the viewpoint of other nations. I know this isn't easy, but only thus can understanding come. "If only all Americans could come over here! They would look about and ask themselves where is this revolution, where is this terror, where is all the destruction and chaos I've heard about?" Nevertheless, says the interviewer, T. R. Ybarra, looking around Berlin after his talk with Chancellor Hitler, life in Berlin still resembles sitting on the edge of a volcano. "At the time of my talk with Hitler," explains Mr. Ybarra, "there was no indication of a cessation of anti-Jewish persecution. Daily lists were being published of professors dismissed from universities, many of whom are Jews with nothing else against them. "A big chain-store firm and other concerns were being obliged to close temporarily because their Nazi employees had struck against Jewish control. At the headquarters of a big publishing house, a procession of striking employees surged through all the corridors shouting: 'We want all Jewish bosses fired.' Here as elsewhere there was nothing to do but obey. 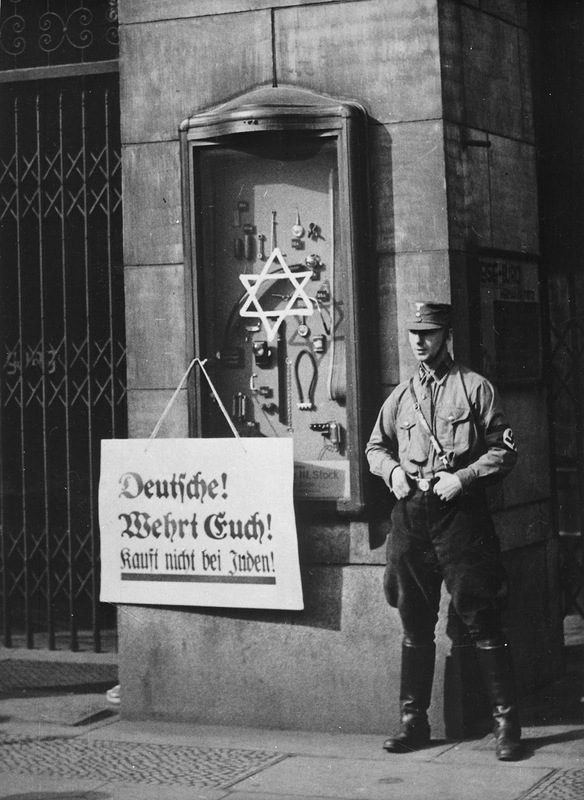 "Many Jews, being dismissed after years of faithful service, were now besieging the offices of Americans in business in Berlin, seeking work. The fruits of a lifetime of toil had been snatched from them—in many cases they faced destitution—and often men who formerly had held the most important and best-paid positions were telling Americans that they were willing to do anything for wages no better than an office boy's. "Some observers believe that the situation inside the Hitlerist ranks is another case of Frankenstein and his monster. They feel that because Hitler for years has been promising his adherents that Jews would be uprooted and opposition crushed, and that foreigners should be shown the temper of a new Germany, he was obliged to make good his violent promises. "But sometimes it certainly seemed that Adolf Frankenstein Hitler's machine was running amuck. Many of us foreigners, sitting on the rim of the German volcano, occasionally wondered whether Hitler was boss of his own show any more."